If you want to add network capability to your DAC, dCS has just the product: the Network Bridge. 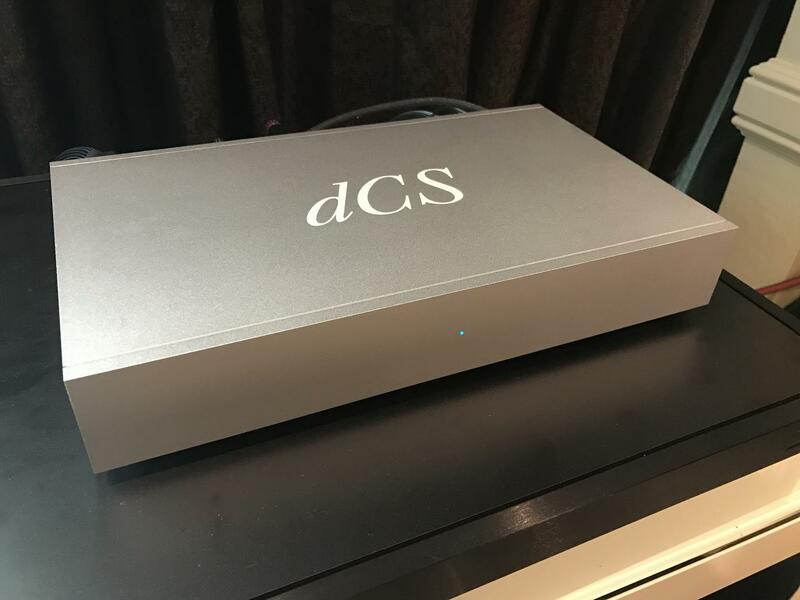 This $4250 device, derived from the company’s Vivaldi and Rossini, turns your non-networked DAC into a wireless streamer, offers a USB input for local sources, has clock inputs and outputs, is Roon-ready, and comes with dCS’s music-management app. 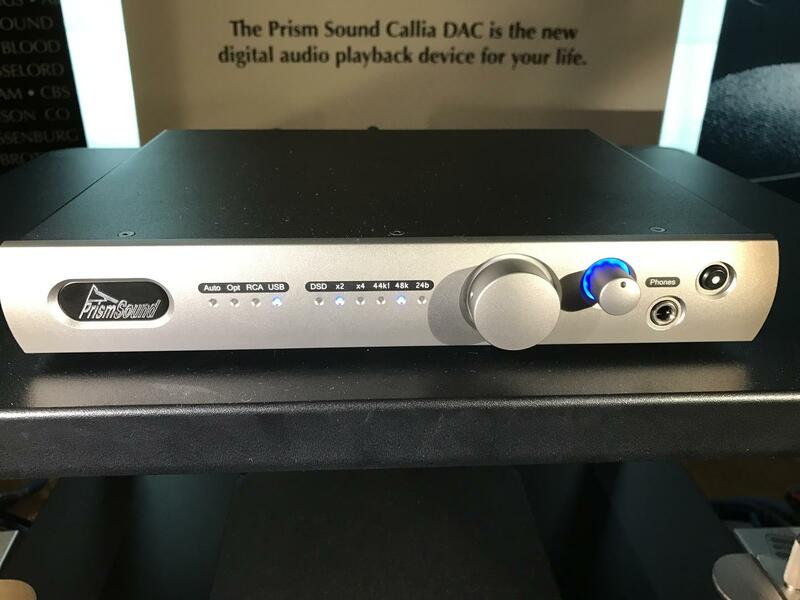 The British professional audio manufacturer Prism Sound, who has for more than 25 years specialized in making analog-to-digital and digital-to-analog converters, entered the hi-fi market with the new Callia DAC and headphone amplifier. The Callia will handle any PCM format as well as DSD up to DSD128. The headphone amplifier has three gain settings to optimize the volume control for any headphone. Price: $2750. Naim unveiled three new products in the Uniti series that combine Naim’s sound quality with an all-in-one multi-source streaming music player. The entry-level Uniti Atom ($2995) offers an array of digital inputs and file-formats, and delivers 40Wpc. The Uniti Star (price TBD) ups the power output to 70Wpc and adds a CD drive for playing or ripping to a network-attached storage device. The top-of-the-line Uniti Nova (price TBD) features upgraded amplification and 80Wpc. The Uniti products can be controlled via the front panel’s full-color LCD display or through Naim’s music-management app. The Uniti can handle AirPlay, Tidal, Spotify, Google Cast, Bluetooth, and many more connection options. All three are designed to partner with Naim’s Uniti Core ($2495) network server and its integral CD ripping and file storage (up to 8GB of SSD or HDD). 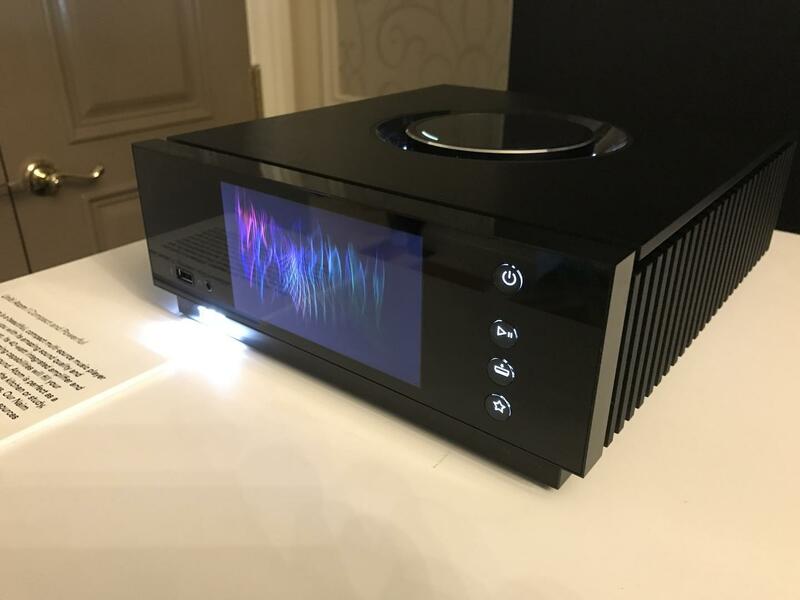 The build-quality appears first-rate, but the coolest thing about these new products in the large illuminated volume control taken right from Naim’s $265,000 Statement electronics. Anthem, best known for creating multichannel products, has made a major commitment to two-channel audio with the new STR integrated. This 200Wpc unit is packed with innovative features rarely found in the category. These include Anthem’s acclaimed Anthem Room Correction, bass management functions with dual subwoofer outputs (mono or stereo), and optional control via Ethernet or RS232. 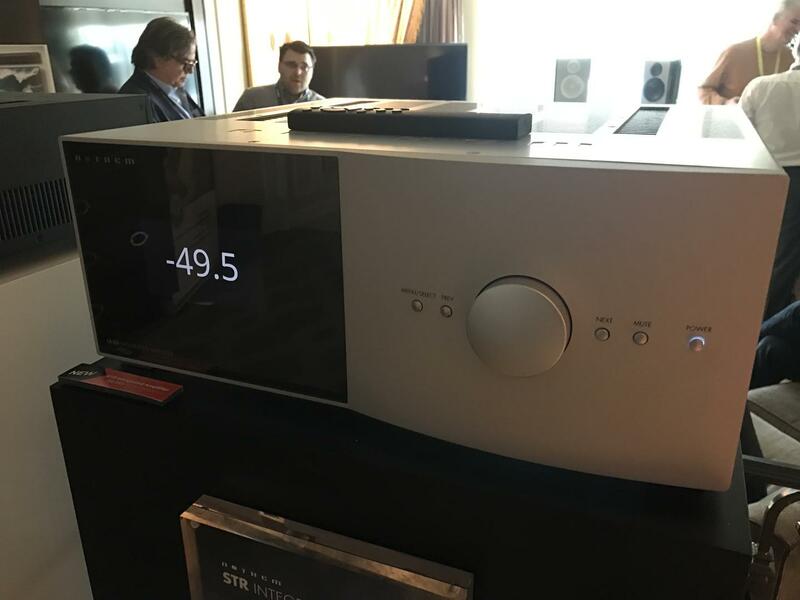 The STR is packed with an integral phonostage offering both mm and mc inputs, an Analog Direct mode, and a DAC section that can handle every format including DSD256. Judging from the power-output specs, the STR has a robust output stage; it is rated at 600Wpc into 2 ohms continuous. Finally, the industrial design is extremely elegant, set off by a large TFT display. 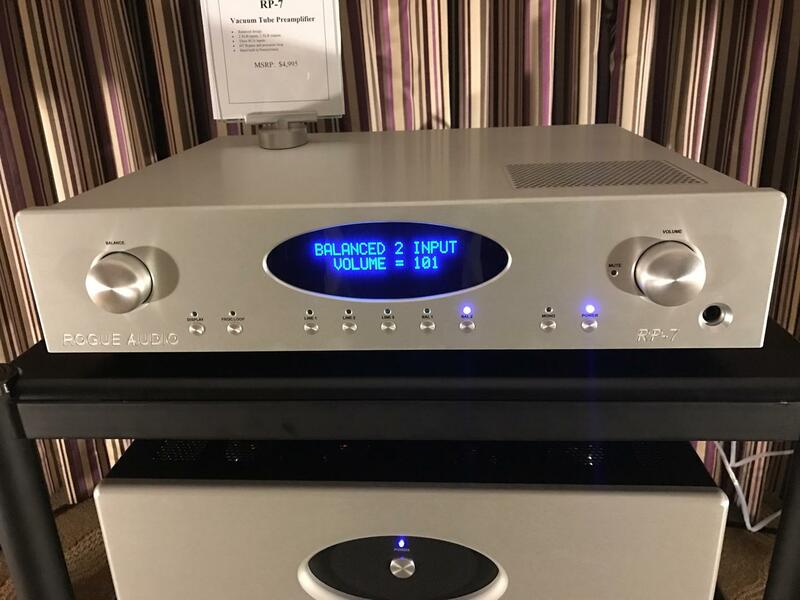 The STR’s technology and casework are the foundation of other high-end two-channel products to come, including a preamp and power amplifier. Price: $4499. NAD’s latest amplifier line incorporates wireless network connectivity and streaming DACs. The 50Wpc entry-level C 338 ($649) features an integral DAC and moving-magnet phonostage. The C 368 ($899) offers 80Wpc. The top-of-the-line C 388 offers increased power output of 150Wpc. All are based on NAD’s Hybrid Digital Amplifier technology. The top two models feature the company’s Modular Design Construction that allows you to configure the unit for your particular needs and to accommodate future hardware upgrades. Adding the optional BluOS Module to the C 368 or C 388 provides instant access to a local area network via Wi-Fi or wired Ethernet connection and adds hi-res streaming, including MQA (BluOS was one of the first MQA licensees). Rogue Audio, known for making great-sounding and affordable tube gear, introduced a new top-level preamp, the $4995 RP-7. Features include three unbalanced and two balanced inputs, a stepped attenuator, Mundorf caps, a theater-bypass, OLED display, headphone output, and full-featured remote control. The optional phonostage has selectable gain for moving-magnet or moving-coil cartridges. The circuit is based on two AU7 tubes per channel. This new model also debuts a new hardware and software platform for future Rogue products. As always with Rogue, the RP-7 looks like a lot of performance for the money. 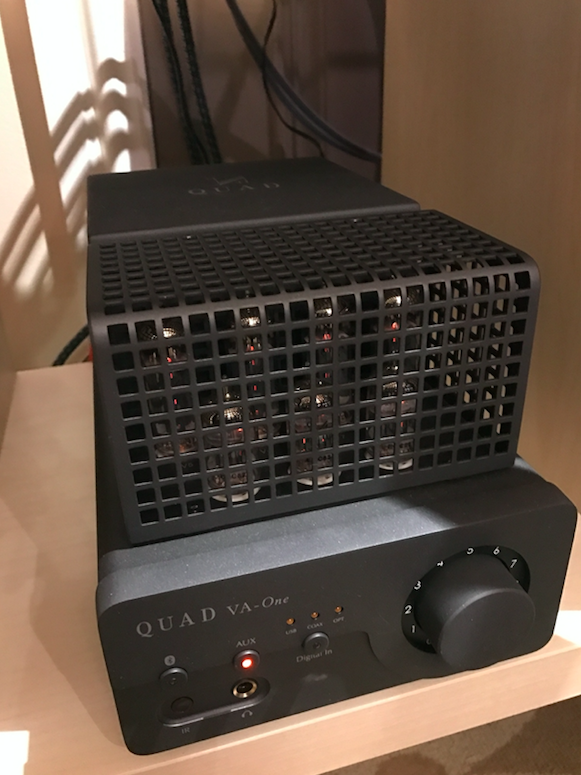 MoFi Distribution showcased the VA-One, a tube integrated amplifier from Quad. The all-tube model is based on a pair of EL84 output tubes that can deliver 15Wpc. The product includes an integral DAC along with aptX Bluetooth connectivity (and wired analog and digital inputs). A motorized volume control and remote control round out the $1595 VA-One.